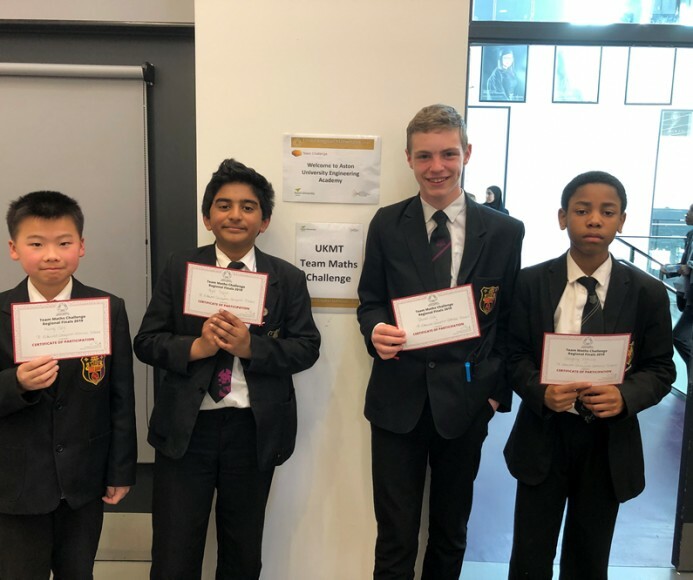 On Friday 29th March, three year 8 students and one year 9 student attended Aston University Engineering Academy to compete in the Regional Finals of the UK Maths Challenge. Daniel Cole in year 9 lead the team, which consisted of Gregory Odiwa, Ming Cen and Aigill Sajan in year 8. All students had recently completed an individual maths challenge, so to compete as a team was a first for them. They were nervous to start with but soon got into the flow of answering some challenging mathematical problems, some of which also left their teacher Miss Suntharalingam puzzled! Overall, we finished 14th out of 28 schools, which was better than we anticipated. We are very proud of them!